Are you looking to remodel your home? 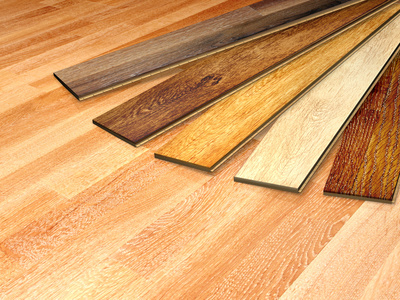 Why not consider using hardwood flooring? You might initially think that it’s expensive compared to carpeting, and that’s true; the project will account for a significant amount of your expenses. However, not only does hardwood add elegance to your home, but it also lasts much longer than other types of flooring. Read on to know which type of wood you should choose depending on your needs, space, and surroundings. Natural red oak: This is one of the most popular flooring options in New Jersey. Leave the wood in its natural color and use it in your kitchen, drawing room or other entertainment spaces to create a stunning look. With shades ranging from red to dark brown, the wood gives a classic look to the floor and the whole room itself. Also, it is known to blend well with almost all types of furniture. Ebonized wood: Any type of wood can be made to look like real ebony by staining it in a lush, dark hue. 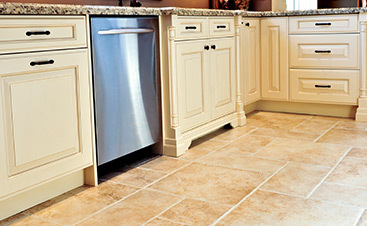 This flooring option can help you create a royal look without burning a hole in your pocket. You can use ebonized oak wood in bedrooms to create a calm and cozy environment. Wide plank wood: This is the latest trend in hardwood flooring. You can choose many types of timbers of varying thickness for your space, ranging from softwoods to hardwoods, to create that exotic as well as rustic look. This type of flooring can be used in almost all spaces in your home. Reclaimed wood: If you are looking for an eco-friendly way of using hardwood flooring in your New Jersey home, reclaimed wood should be your one choice. Made out of woods from old barns and factories, this antique timber is durable, stable, and strong. It can be used in wide open spaces, and is believed to help in the even distribution of heat in the floor. Engineered eucalyptus wood: This is a perfect option for you if you want a low maintenance flooring that is also tough and resistant to dents. It is suitable for areas prone to moisture or high humidity. Additionally, this flooring option also goes easy on your pocket; you can install it for as low as half the price of traditional hardwood flooring. 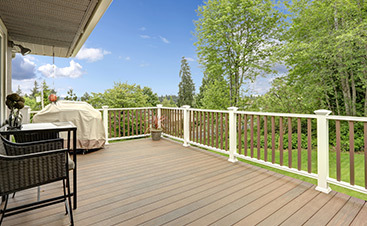 It can also be refinished multiple times without losing on its quality and luster. 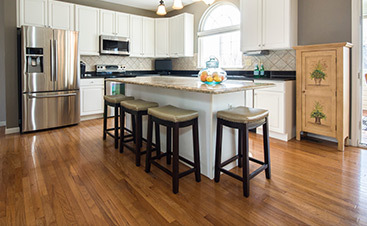 Keep the above tips in mind and complement your home with hardwood today!